Coffee, coffee, coffee! Frequently mixed with milk, poured over ice and ice cream or several other combinations of these, Kahlua’s richness and boldness sees it without peer. The Kahlua Aztec Apple sure is an unusual mix. The truly unique coffee and roasted chestnut flavour of Kahlua mixed with apple juice and soda water will turn any ordinary day into a refreshing exotic occasion. Kahlua is a coffee-flavoured rum-based liqueur. 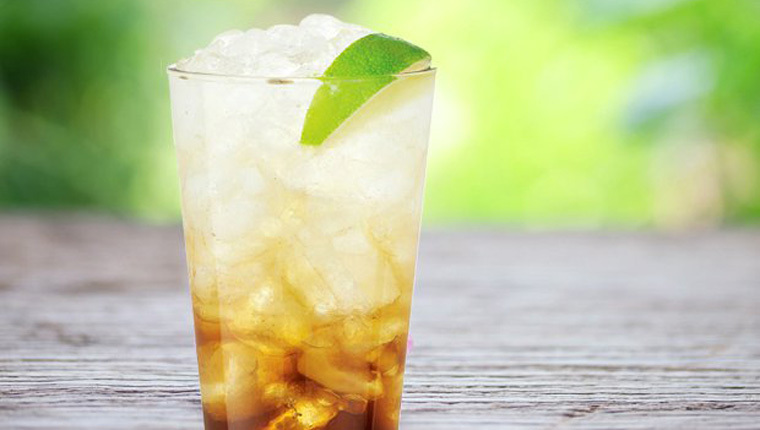 The Kahlua Aztec Apple is an unusual but refreshing mix incorporating both apple juice and soda water. Kahlua’s roots are in Mexico and enjoyed worldwide. Delicious on both the nose and palate, Kahlua offers enticing scents of bittersweet coffee bean and roasted chestnuts with multilayered flavours of black coffee and sweet butter. With more than two million cases sold worldwide every year in more than 150 countries, Kahlua is the fourth largest global liqueur brand. Today, Kahlua is the world’s number one selling coffee liqueur. 1. Add ingredients to a tall glass. 2. Fill with ice and stir.